Elite FIFA Referee Andrew Juma (L) in a personal fitness training session at the MISC Kasarani. Football Kenya Federation has revealed the list of referees who will take charge of select FIFA assignments for the 2018 calendar year. Included in the list is debutant Stephen Yiembe, as well as regulars Andrew Juma, Davies Omweno, Anthony Ogwayo, Peter Waweru and Israel Mpaima. Yiembe went through a UEFA Sponsored course for two years in Zurich, Switzerland courtesy of FKF, consequently gaining promotion to the elite league. “We have had Kenyan referees represent us in the CAF Champions League, African Nations Championships (CHAN) and the World Cup, which is a boost to our levels of officiating,” said Referees Manager Sylvester Kirwa. “FKF has also scrapped the ksh 3000 PET fees and increased the frequency of the PET’s and referees’ courses. This helps to keep them updated on the laws of the game as well as their personal fitness,” he added. 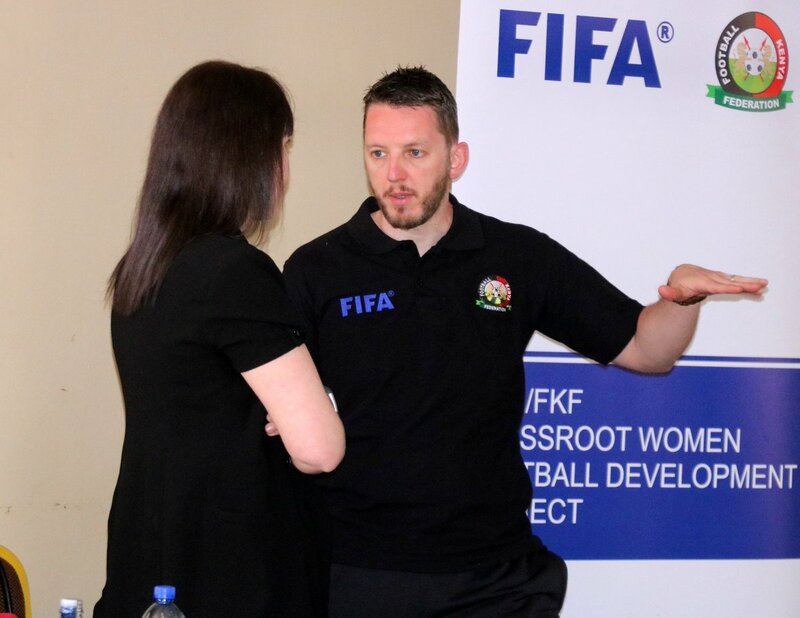 referees in the FIFA MA course and 35 female referees in the FIFA women Referees Development Course as well as 100 referees at the grass-root level. The trainings are aimed at building capacity and improving the quality of officiating in the country.